Product prices and availability are accurate as of 2019-01-13 02:38:10 EST and are subject to change. Any price and availability information displayed on http://www.amazon.com/ at the time of purchase will apply to the purchase of this product. 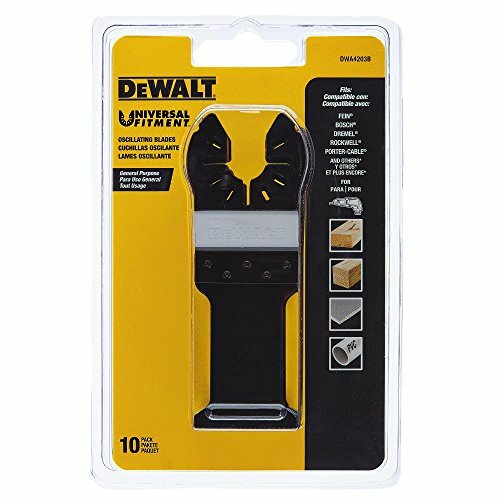 The DEWALT DWA4203B Bi Metal Wood w/Nails Oscillating Blade is designed for long life in tough applications. This blade is ideal for cutting into wood with nails, along with a variety of other materials such as plastic, sheet rock, PVC pipe. 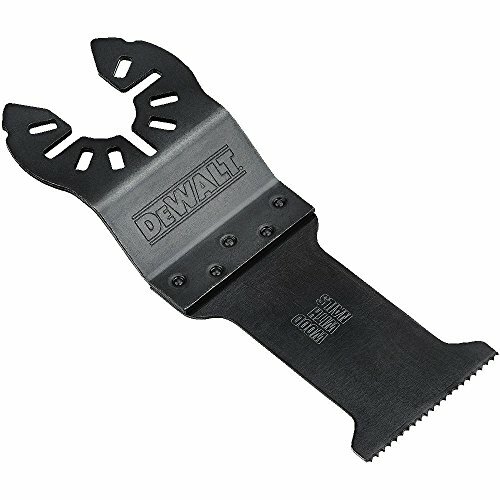 The DEWALT Triangular Rigid Scraping Blade offers UNIVERSAL FITMENT which allows for use in most oscillating tools. This is a bulk 10-pack of blades.